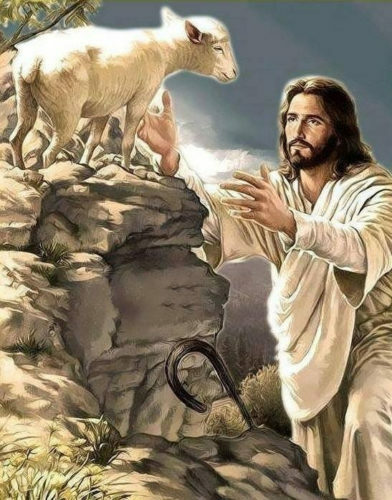 Thoughts on the Sunday of the Good Shepherd | "Northern Crossings"
On the Sunday of the good shepherd I always think about the poem, “Shepherds Song”. It is about three shepherds who come to see Jesus in the manger and their discussion with Mary. I wrote a melody for that poem which was written by a man named William Mitchell. I love those words and I can see Jesus as the good shepherd searching for a place where we can be born again and brought to faith by the power of the Holy Spirit. It is called the church. The church is the place that gives birth to new Christians. And I can see Jesus stumbling through wearisome ravines searching for us to gather us away from our self justification, our nastiness, and putting us on his shoulder and rejoicing bringing us home. And I can see him listening as we chatter and clamor among ourselves and working by the power of his Holy Spirit to bring to us to a place where we listen to him and follow Him and finally rest. PreviousDid God Have a Person From Porlock?